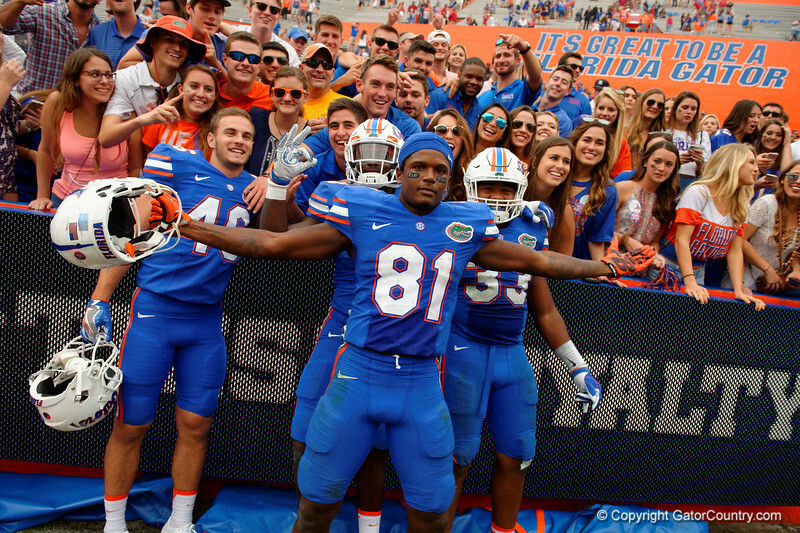 Florida Gators wide receiver Antonio Callaway photobombs the photo of Florida Gators quarterback Harry Gornto V,Florida Gators linebacker Vosean Joseph and Florida Gators linebacker David Reese as the University of Florida Gators football team defeats the South Carolina Gamecocks 20-7 at Ben Hill Griffin Stadium. November 12th, 2016. Gator Country photo by David Bowie.